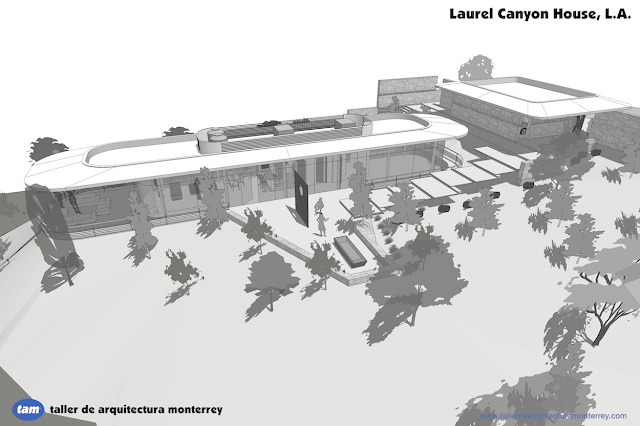 Laurel Canyon in the Hollywood Hills has an interesting vibe and rich history within the city of Los Angeles. 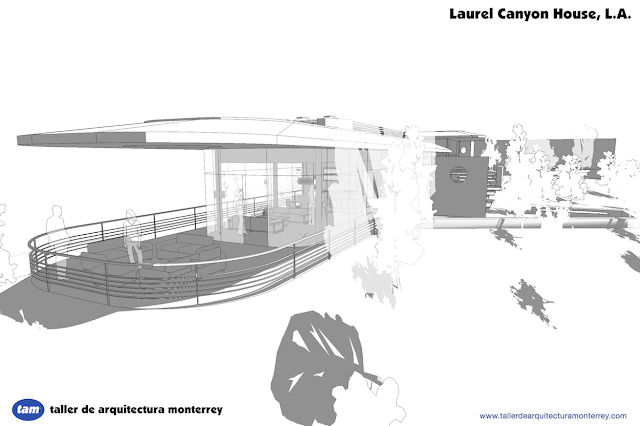 This design concept for a small house to replace an old wooden hut sits on a lot facing northwest in Laurel Canyon (with great views and a slight slope to the east/southeast). The new building's program called for a one bedroom abode with first class amenities: fire pit, full kitchen, bar, living room, bathroom, walk-in closet, and a terrace with a view of the valley. We were encouraged to get inspiration from seafaring vessels, specifically yachts and cruising boats. We will refine the concept further and hopefully see this house come to life soon.